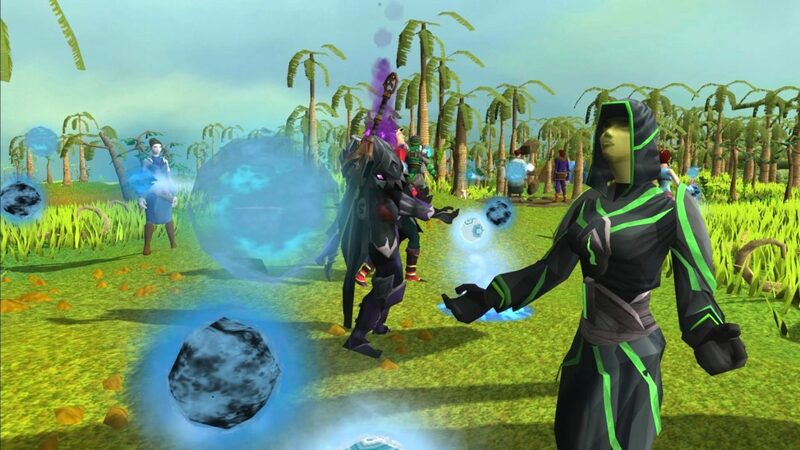 RuneScape‘s latest patch has been released, fixing a long, long list of bugs. – Fixed an animation issue with crystal chimes. – The Bank will now reliably remember the custom withdraw-x setting. – The Bank will now reliably show the Beast of Burden withdraw option. – Fixed an issue with bank tab separators appearing when searching for items. – Fixed an issue when withdrawing a searched item temporarily displaying the item that was in the next bank slot. – The scroll position in the bank is now reliably saved upon closing the bank screen. – Fixed an issue that was causing the bank total space to display incorrectly. – Fixed an issue related to the interface transparency setting resetting itself. – Fixed issues with the ribbon and ribbon setup interfaces when using the legacy UI skin. – Fixed an issue with loading screens when entering certain areas such as clan citadels. – The minigames tab no longer vanishes in legacy interface mode. – The Metrics graph now shows data again. – Survival outfit feet are now correctly displayed in the wardrobe interface. – The spikes in the middle of Kuradal’s dungeon has been removed. – Kuradal has caught 2 more abyssal demons for your slaying pleasure. – Off-hand weapons are now dropped in Dungeoneering. – Black wool and balls of black wool are now tradeable. – Black wool is no longer prioritised when selecting a recipe at a spinning wheel. – A loom and spinning wheel have been added to New Varrock, in the slum buildings east of the Blue Moon Inn. – Flax and sinew have replaced bow and crossbow strings on zombie drop tables in New Varrock, since they can now be made through skilling. – Reggie in Fist of Guthix no longer talks about the metal gauntlets in his shop, since he no longer sells them. – The increased chance of catching a Slayer monster’s soul using an ushabti has been changed from requiring 200m XP to requiring level 120 Slayer. For the full list of updates, click here. What do you think to RuneScape‘s latest patch? Let us know below.